The Fine Art of Construction. Using the finest components to bring our homes to life. Rader Building Company offers a true design build team. Offering the lost art of craftsmanship in every home. Rader Building Company is all about layering patterns, adding textures and the simple alignment of symmetry. Each home is carefully designed and constructed to showcase all of these elements. Rader Building Company consistently achieves unparalleled quality through a shared vision with our master artisans. Our hands on approach has brought back the true craftsmanship of homebuilding. All aspects of a Rader Building Company home are designed to be aesthetically pleasing and functional. From blueprints to closing our team is working to ensure every home is a true masterpiece. 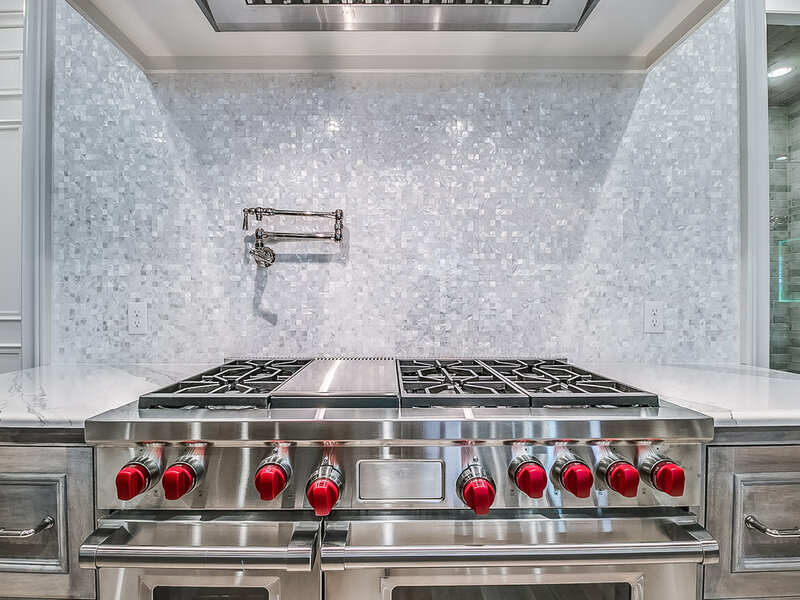 This breathtaking home was featured in the 2016 Street of Dreams home tour. This Regency-Modern home combines simple modern lines with the grander of the Regency period. Offering 9,001 square feet, this home has something for everyone! This coastal home will transport you to your favorite Emerald Coast home in the quaint town of Seaside, Florida. The wood tile flooring sweeps through the foyer, living, dining and kitchen. The white cabinets and custom millwork give the home an airy feel. The soothing gray walls have a tint of blue, relaxing your senses while in the home. On a cool night, cozy up in front of the linear fireplace and gaze at your memories of the beach on the flanking book shelves. 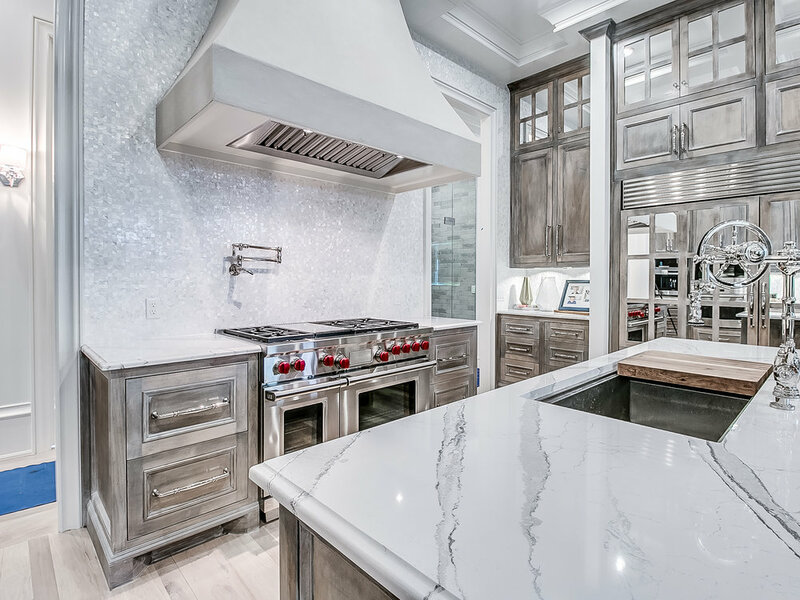 Carrara marble can be found on the counter tops, fireplace surround, master bathroom floor. The red brick, creamy stone and warm colored cedar brought this English Tudor home to life! 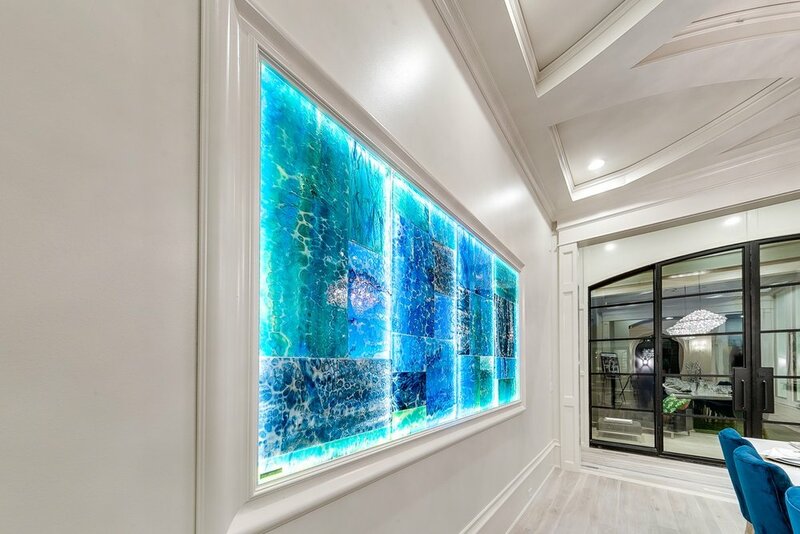 Featuring 4 bedrooms, 4 ½ bathrooms, large game room, dining room with a custom, handmade coffered ceiling with two crystal chandeliers and custom millwork surrounding the two story foyer. We have built this plan from 3,400 square feet to over 5,000 square feet. This custom home designed exclusively by Jenn Rader for Rader Building Company. 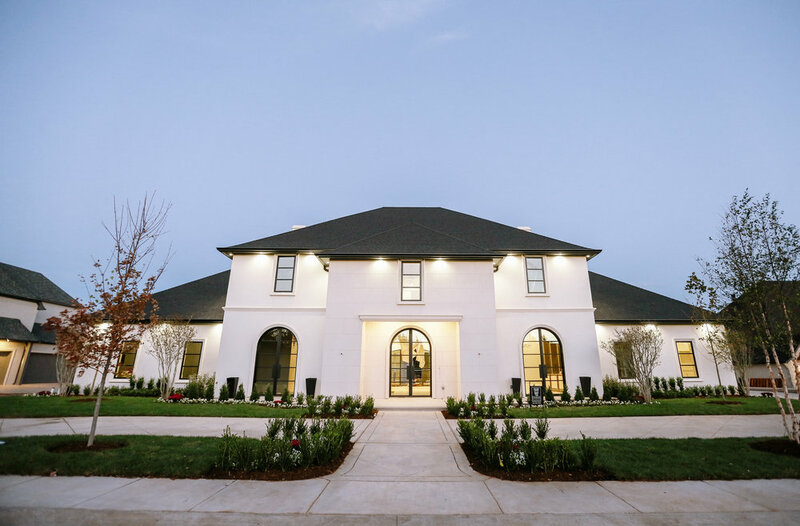 The sprawling home offers 4,000 square feet on the main level including 4 bedrooms, study, master suite and gorgeous living, kitchen and dining area. Up the staircase you will find a game room and large movie room. This unique floor plans offers a sweeping view of the back courtyard through the formal foyer, dining room and rear gallery. This gorgeous home features a light and bright exterior and interior. Offering 4 bedrooms, 3 ½ bathrooms, game room, movie room, formal dining room, study and huge open living and kitchen.